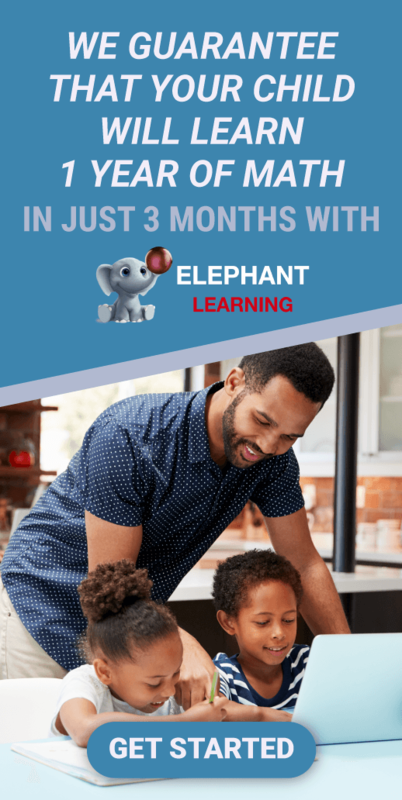 Elephant Learning is a Math Acceleration App that I have been auditing with my now 5 year old, a 3 year old and now 7 year old. What Elephant Learning is NOT: Elephant Learning is NOT a full math curriculum. Elephant Learning is NOT a collection of games created to teach your child math on the sly. Elephant Learning is NOT a babysitter application. It is not meant to be an app that teaches your child in your absence. When I first heard it could advance your child up to one full year of math in just three months of using it 30 minutes per week, I was skeptical. I watched the videos and I read through the reviews. I was lucky enough to have a mother in our homeschooling group who had purchased the app in the past who did NOT like the app and whose children did not find it useful. I asked lots of questions about how they had used the app and ultimately, I decided that we would give it a try. What Elephant Learning IS: Elephant Learning is basic. It is specifically designed to catch children who: May have not been introduced to math yet (children 3-6); May have been introduced to math, but were left behind because they failed to grasp one or more math fundamentals; May be ahead of mathematics and want to learn new mathematical concepts to stay challenged. May be just learning concepts of math; May need assessment to determine where they are and what they actually do know; May need extra introduction/review of basics so that the concepts truly become ingrained in their mathematical education. I need to start out by saying, my child had very very little knowledge of math prior to beginning to use the application at 4 years old. She had used another product called “Doodlemaths” a few times and she seemed to enjoy parts of the application, but Doodlemaths quickly threw her into unknown concepts with it's limited games etc. I can hear her frustration and saw how she quickly handed the tablet back because “it's too hard”, “I don't understand” and the one that breaks every parents heart, “I can't do this.” . I knew that what I introduce my child to regarding mathematics will either make or break her Asthmatic Confidence. I have spent many hours in conversation with the creators of Elephant Learning and I have spent just minutes per week sitting with my child while she uses the application. When the application is first set up, your child is introduced to concepts that would be equivocal to his/her actual age. For Example: The three year old was introduced to counting and instead showing her numbers (1, 2, 3) to associate her selected characters with, she was shown corresponding dots (think dice) and at times, a human hand holding up the numbers. The application quickly determined which way she could identify numbers and stayed with the concept of finger counting to determine which numbers she could identify and which numbers she couldn't. With a minute or two of parental coaching, she was then able to correlate the finger counting method with the dot counting method and the application switched back and forth between the two to confirm that she could indeed identify her numbers using both fingers as well as a dot a representation. At this point, we chose to introduce simple child games (outside of the app) using dice to practice number counting. Her confidence in being able to count on the dice was priceless! She understood how to read a die and she could now play games which were previously unavailable to her because “she was too young” or “she couldn't count”. She started counting LOTS of things all on her own. Her self esteem increased and her math confidence increased. Here is where Elephant Learning really does it's thing. The parent Dashboard in phenomenal. Not only does the application do the same simple things such as other apps: counting playtime, providing basic assessment information such as number of questions attempted, number passed etc, you know all of the pretty “numbers” applications think parents want to see. But it goes WAY above and beyond! In case you were unaware up until now, this application was created in conjunction with a Mathematician holding a PhD, in the US. This isn't another so/so questionable application that was pushed out quickly, translated into English or created just to keep your child busy while feeling educational. This application has substance. This application has real information parents can use. This application has REAL feedback and REAL guidance. Your Parent Dashboard shows you exactly what your child is working on. In relation to the three year old, her basic mathematical objective was “understanding small numbers”. The application provided what she was learning, why she was learning it and the progressive steps of what she was learning. It provided Milestones for her to achieve and where she was in relation to meeting those milestones. This dashboard even drills down into which part of her brain she is using to complete the mathematical challenges in the application and how these basics build the foundation to make her successful in the future. The dashboard is extremely specific. For the three year old it told me she was working on counting random number by fingers, frames and numerals. The dashboard even allows you to go into “parent mode” by clicking on the milestone and letting YOU do her activities in “Parent Mode”. The BEST thing, the absolute seller for me.....This application provides activities for YOU and your child to do outside of the application to really set these mathematical basics in concrete. It helps provide real life uses for what your child is learning. As the child ages or progresses, it will even provide “worksheets” for you and your child to complete (optional but I highly suggest it!). The three year old's first worksheet: “Draw two circles”. Worksheets are optional, but we have found them fun and beneficial! They are not “premade” worksheets. They are instructional worksheets to give you direction in working with your child to determine, confirm and visualize the progress your child is making. Today, my now 5 year old logged in for her 10 minutes. We are really doing our best to stick to 10 minutes three times a week. And she finally had her “Elephant Age” surpass her actual age. She was SO excited! The Elephant Age projected for your child at login is explained as “the average age a child is doing mathematics outside of the Elephant Learning system”. I have found the children get very excited when they learn they are “ahead of the game”. My daughter has asked me to “do more”, to spend more time on the application. By default, the application is set to STOP a child after 20 minutes on the application. It took me a few days to learn why. I guess I figured, the more the better. I thought if she was having fun, why NOT let her play longer? I then learned what the other mother was telling me: If the child is given the application to use without instruction they have the possibility of being put into a task above their ability or they quickly get “bored” with doing things below their ability. One of the things that I found was the MOST interesting and the best thing about Elephant Learning is the ability to access the creators for assistance at any time. Have a question? Need to know how to set up the application for special needs, need to know how to test out, need to know how to “dig in” and “drill down”? A quick email and you have the assistance you need. The programming behind the application is phenomenal. Seriously, my daughter will change her “characters” often just to see what they do. The application allows the child to switch up their “manipulative” or characters at any time and boy do they have a selection! When you open the application, please don't get confused by the large selection of boxes. Each box contains a manipulative/character your child can use within the application. They act the same way and they do the same things, with a few exceptions. The programmer has implemented very interesting actions and characteristics into each manipulative. They giggle, they stick out their tongue, they sing, they dance, they do so many little things that really keep the child interested. Remember, 10 minutes three times a week. That's it! My daughter will change her manipulative at least 2-4 times during her 10 minutes. That's OK! It keeps them interested. What you DON'T want is to push your child in the application or to spend more time than indicated. I would highly recommend putting a limit (set a timer) for 10 minutes 3 times a week. Use your dashboard. Drill down and pull your worksheets. Please, use this application for what it is really designed to do. Please pay hundreds or thousands of dollars for a math tutor to do what this app does AND prevents. After testing this application for many weeks with three different children, I feel this would be a great application to add to our Group Buys. I really can't see any reason NOT to use this application with a child. Again, if you're looking for a tool that is hands off, this is not your tool. Parents need to set limits for use (to prevent burn out and to monitor progress and assess skills) as well as drill down each time the application is used by your child. This is not a babysitter app. This isn't another self directed app. This is an app that has such a very important job of building fundamentals that you will find using the parent tools not only informative, but satisfying. They're robust, they're useful and most of all, they're available every time your child uses the app.